We have a brand new challenge for you today! We also have loads of scraps around...I know I do..and I thought it would be nice to put those scraps to use this month. Please display this storyboard prominently in your blog post. ALSO, please display this logo prominently on your blog. To make this simple tag, I stamped the image (from MFT stamps) on a scrap of white card and punched it out using my circle punch. 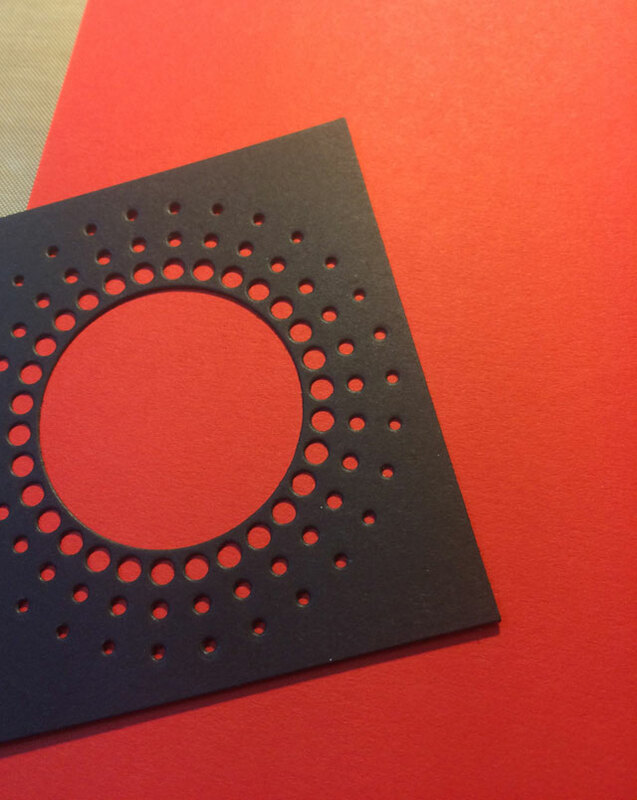 I then popped it up on a piece of white card stock cut with Simon Says Stamp Stitched circles, with 3D foam tape. I finished off the card by adding the sentiment and some bakers' twine. Versafine Onyx black and Habanero inks. To make this card, I used red card and black die cut (memento small starburst) card which were left overs from an earlier project. I stamped the image from Simon Says Stamp 'Quite the pear' stamp set, onto a piece of scrap white card stock and fussy cut it. I then put all the pieces together at an angle, for interest, with the playing cards popped up with 3D tape. I stamped the sentiment with Memento tuxedo black ink to finish the card. 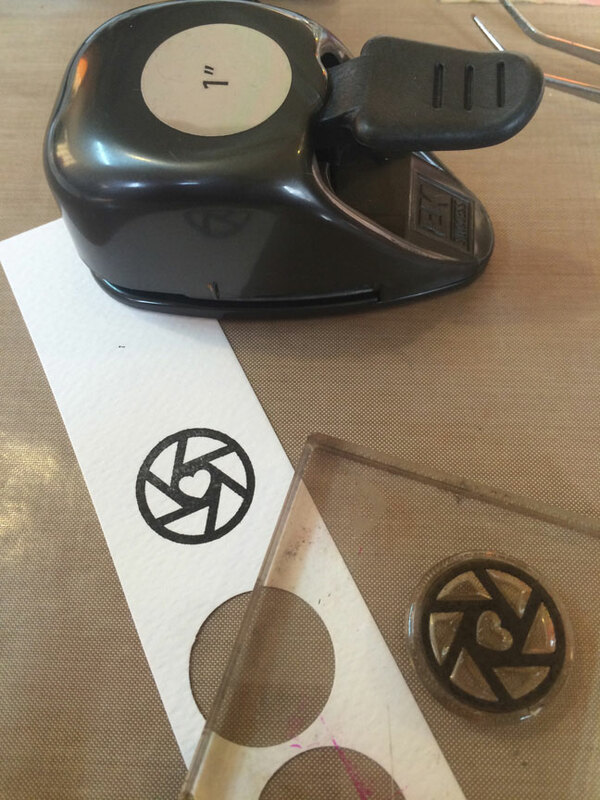 I used some craps of white card to stamp the central image and then fussy cut them. This month we have the fabulous Neha Bhatt, of Perwinkle Creations as our Guest Designer. Her style is simple and CAS, but oh so effective! I love her work and I am sure that you will too! Hi! I am Neha, a house wife - hence full time crafter. I have been crafting for last 10 years. I had an opportunity to live in USA for few years and that is where I came to learn about stamps and inks. Paper crafting is a pure passion and my high-way to happiness. It gives me that inner peace and keeps me sane. My Style is CAS cards. I love the aesthetics behind their designs and how they convey the message. I am on Paru's Card making Challenge Blog as a guest designer for Febuary . 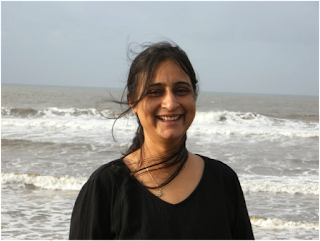 Having our own Indian Challenge Blog was my dream but due to my laziness I never started it. When Paru started it last month I was thrilled to participate & feel honoured to be a GD this month. There were many awesome entries last month and some fabulous prizes too. 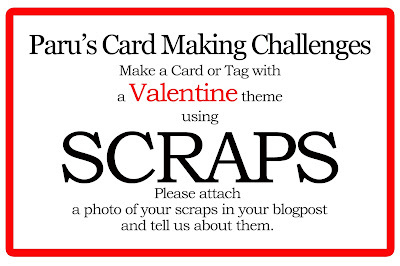 This month's challenge is a Valentine themed card or tag using scraps. I hardly use pattern paper but I love them. I can't let go even smallest of scrap. Another thing I hoard is die cut negatives. I always feel there are so many possibilities with them which remain unexplored and scraps gets piled up. I made THIS card a while ago in which I use many stitched panels to create comic book look. I am using that negative and scrap pattern paper to create today's card. I adhered different PP scrap form the back of each window with 3d tape for creating shadow box effect. I used reverse confetti stamp set , some wood veneer arrows and heart and bow die cuts. I feel all the elements in different windows help to enhance the more part of the sentiment. 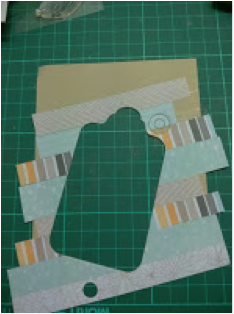 For tag, I simply glued strips of different PP scrap on some leftover CS and die cut the tag. 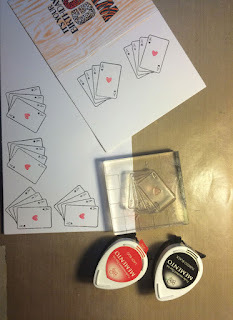 Try doing this with different dies. you will get some really unexpected results. 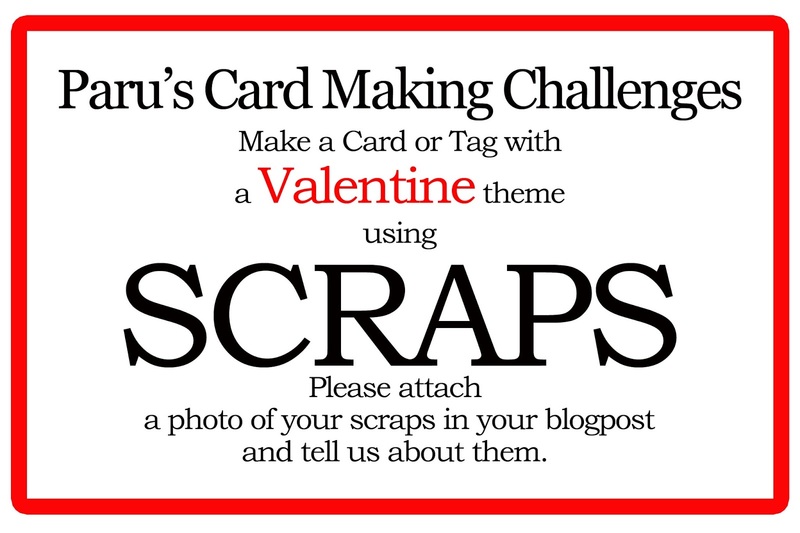 Hope you will be inspired to use the scrap and create something beautiful and take part in this month's challenge. We have some fabulous sponsors lined up for this month. 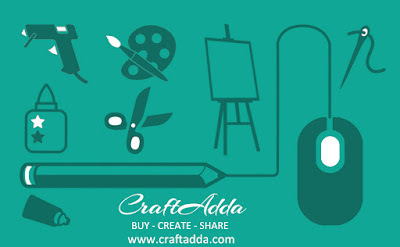 We hope that we have started your creative juices flowing! This challenge will run from the 1st of February till the 25th of February. I will announce the winner on the 28th of February. you will find them in under 'how to play' in the right sidebar. Submissions which do not follow the rules, will not be eligible for the prize...sorry! 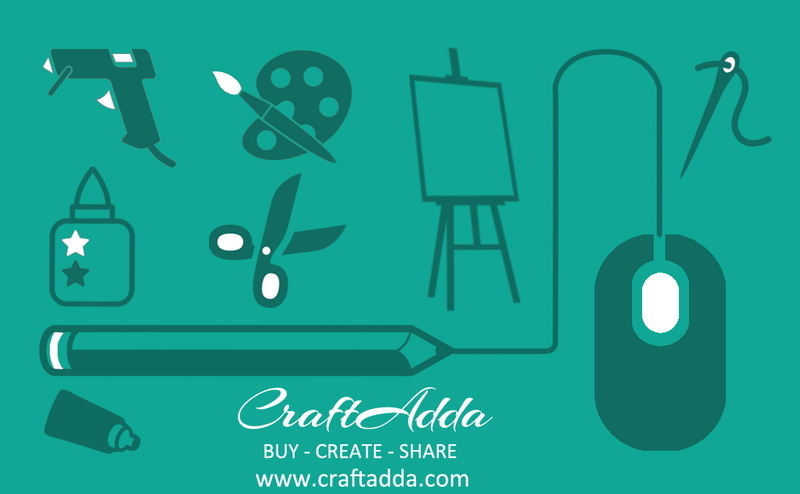 Labels: craftadda, february challenge, handmade greeting cards, handmade tags, janes doodles, neha bhatt, perwinkle creations, scraps, valentine theme. 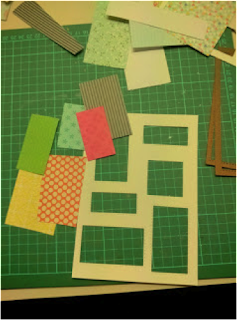 Nice idea, and I am sure we all have scraps lying around our craft place, the cards made by both you and Neha are gorgeous. You both had made use of your scarps pretty well. Wow! Amazing challenge paru.. love your creations and Neha's comic book layout idea is just brilliant! I will surely play along! I have loads of scraps.. Thanks Priya! Can't wait to see what you come up with!! Glad you stopped by Karthika! Looking forward! Thank you Jahnavee! Glad you stopped by! This is awesome !! Im a scrap-a-holic !!! Paru....Thank you for inspiring me. I am glad that I came across you. Hope the Valentine's tag is liked by all. Thanks for playing along Teena! Thank you! Can't wait to see your creation! The link opens fine for me, and I've added the tag as well. I can see my card even under the tag #PCMChallenges. Please let me know if I'm missing something here. I have posted my card (linked here) at my facebook page https://www.facebook.com/shiningcolourscrafts and tagged it with PCMCHALLENGES. I am not on Instagram. Loved to play this wonderful challenge! 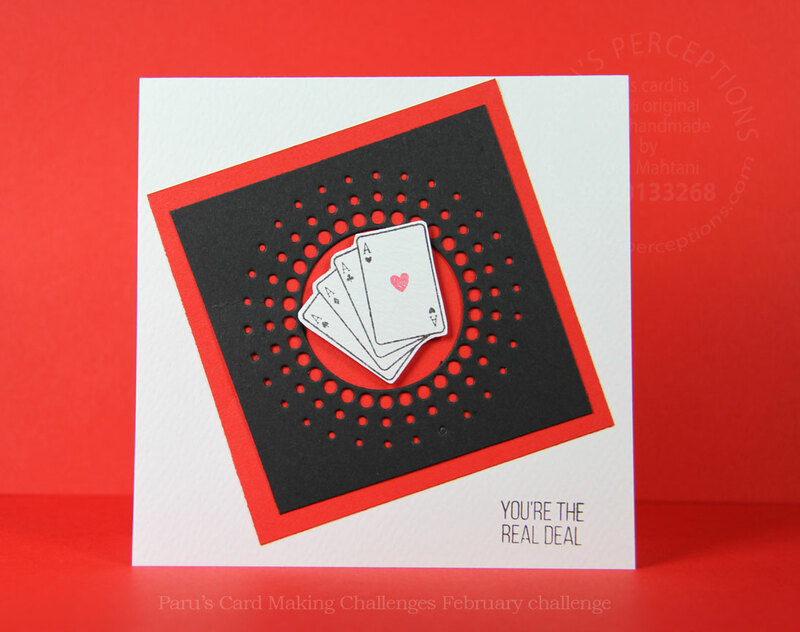 Have linked my card & tagged it with PCMCHALLENGES on my facebook page. I am not on instagram.